Fabric: 50% Linen, 25% Viscose, 25% Silk. 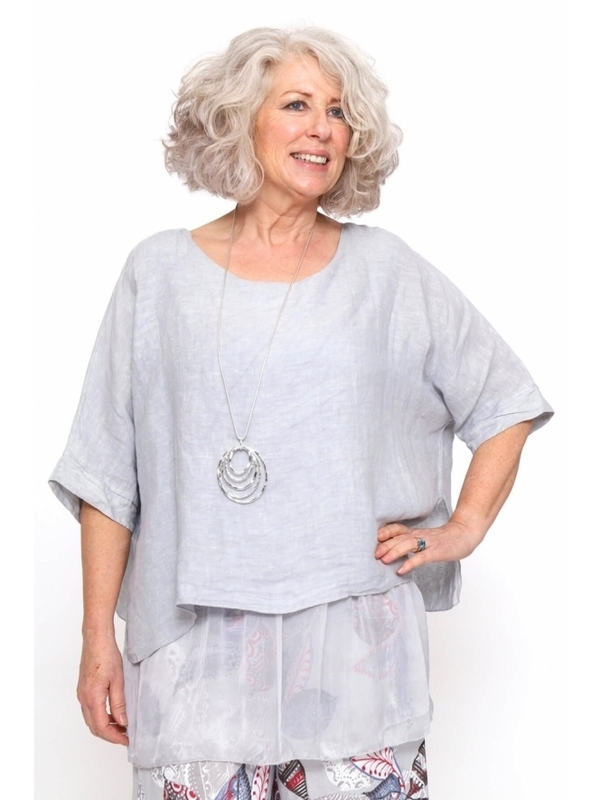 Your favourite mixed linen top is back in all of your favourite summer colours! The Made in Italy Zanzibar Plain Linen Top features a classic round neckline and elbow length sleeves, all whilst crafted from light as air material. With a flattering floaty underlay, this style is perfect for layering during the summer months. Team with the Elenors Grove Trousers and sandals and you're ready for all your summer occasions!